One of my favorite apartment buildings in Denver is One Lincoln Park...sorry I don't know how to add a picture of it, maybe GRID has one from his stockpile of pictures. Anyway, I think something with that kind of design would be a good compliment to the buildings going up now. While I fully agree that the street life is what matters most, I do believe that when you have a number of new buildings looking similar it starts to look a little like projects...granted hi-end ones. ST please don't take this as being ungrateful for what Cordish has done, but while this city can be painfully slow for new construction, it has historically had structures built that have had some unique "character" to them, more often then not. It's what makes the skyline standout from other cities in my opinion. Including since 2000. I can think of one more KU player I'd like to see up there. If there is really two bball murals up and it's not a remake of the rebook ad that's a huge miss. Oh god, did they really put college basketball crap up on the murals? KC has so much history with jazz, streetcars, art deco, fountains etc. If you have to do sports, then do only Royals, A's, Blues, Monarchs, Chiefs, etc. Maybe a shot of old municipal stadium. The side facing Truman is (going off memory) a montage of the Royals (2015 WS celebration), Chiefs (Len Dawson), and Sporting KC (Matt Besler). I haven't had a good look at the Grand-facing side to even notice what was on it. StrangerThings wrote: ^^ Royals, Chiefs, Sporting, KU, Monarchs, Jazz etc are all represented. Keep in mind, there will be murals on the future buildings as well. Sounds better. Emphasis should be on the city, not a college town 50 miles away. KC itself does't even have a top level college program. swid wrote: The side facing Truman is (going off memory) a montage of the Royals (2015 WS celebration), Chiefs (Len Dawson), and Sporting KC (Matt Besler). I haven't had a good look at the Grand-facing side to even notice what was on it. Mario Chalmers hitting a 3 in the 2008 National Championship. Arguably the single most important shot in school history. Key word being "school" not "city". Lawrence and KU are not KC. If KC had a big time sports school like Cincy or Louisville, or ST Louis does, it would make sense. I just would have stuck to KC sports and left the college stuff for the place across the street. I would have put the most recent accomplishment (royals winning WS) in a prominent location like that. I care nothing about college sports because I grew up in a town that doesn't have a team But that's me. I'm obviously not like most people in KC. I'm sure the mural is fine. It's just a mural. But combined with the super tacky and giant cowboy sign that towers over the district and the obnoxious and a bit large ONE TWO and THREE LIGHT signs, the aesthetics choices are just not great IMO. Just toured two light and am very impressed. This building has everything and is extremely livable. You can walk to a grocery stores, restaurants, public transit, and just about anything you’d like. The views are spectacular and you get a true city vibe. The additions of 3/4/5 light will only further the density and make the area that much better. 5/5 on this one. Can’t wait to see hundreds of new residents pour into downtown. The only thing missing from the area is more people! Well it is facing the College Basketball Hall of Fame, so that might be why they put it there. I like it of course, but I can see why others might not. 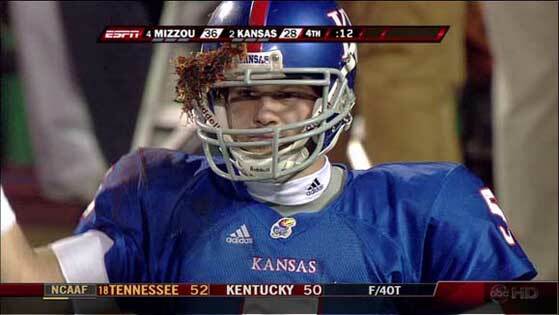 KU plays more basketball games in KC than Mizzou ever does. Honestly putting school alligence aside here, seems like a silly mural addition. The throwback to the 88 reebok dunk ad ...on this very site...would have been much cooler and still tied into college basketball. KCPowercat wrote: Honestly putting school alligence aside here, seems like a silly mural addition. I agree, that would be cool and should happen and that ties in perfectly with KU as well since that was the last year KC hosted the Final Four and KU beat OU. I would not have done Mizzou either. It's downtown KC, not downtown Columbia or Lawrence. There are lots of alumni of both in greater KC, so what. Maybe a mural showcasing the basketball history of KC showing Municipal, Kemper and Sprint or something like that would have been cool or bringing back the Reebok mural like KCP mentioned which has a lot of local meaning and ties to the final four being held there. But the KU mural is just playing to the KU crowd and probably irritating to the not only fans of other college teams, but KCMO locals that don't really care about any of the college teams. Keep the murals in downtown.... "KC". KC is not really kansas or missouri. KC has its own culture and identity nearly completely independent of both states, let alone the state downtown is not even in. What should be there is a mural of an NHL or NBA team playing at the arena. Maybe some day. I like the mural, but the LED seems off with it only taking up a quarter of that space. Too bad it had to be scaled down, but anxious to see it in person. If the interstate is capped can they expand the display?